I'm already late for Thankful Thursday, but I didn't want to miss this week's post, cause I think it's extremely necessary to be grateful for the positive, and keep the focus on the positive. So what I'm thankful for today? I'm thankful for the all the smiles. There's nothing better than a smile. A smile can not only help others that can be cheered up by your smile, but also it can cheer yourself up. Fake it till you make it! A smile is the most powerful weapon in the world, it can melt ice and brighten up a day, and smile can make someone's day better, and that's a lesson I truly learnt at my job. 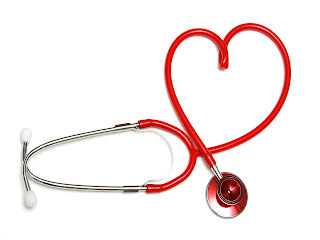 A grumpy patient can turn into a extremely nice one if you enter with a smile and a smiling nurse can make a patient's day better. Smile, you'll feel better and you'll make others feel better, there are always reasons to smile, even through the most bitter of tears. 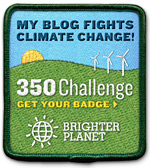 And I had completely forgotten, but this is my 400th blog entry! WOW! Who would have though I'd make it till 400 posts! Thank you everyone! See? Another reason to smile! 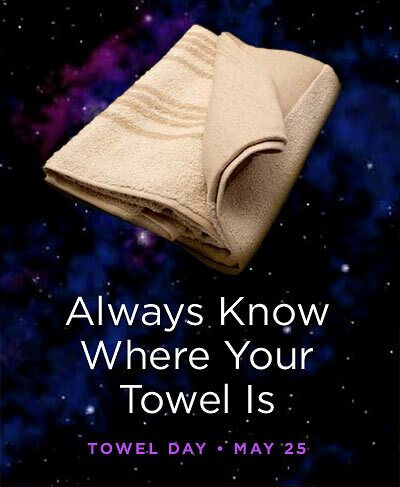 25th May: Happy Towel Day! So Long And Thanks For All The Fish Mr Douglas Adams!! Do you have your towel with you? 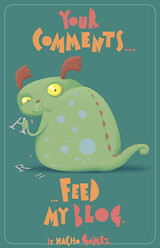 1) Go right now and find and read The HitchHikers Guide To The Galaxy and all the other books by Douglas Adams, NOW! 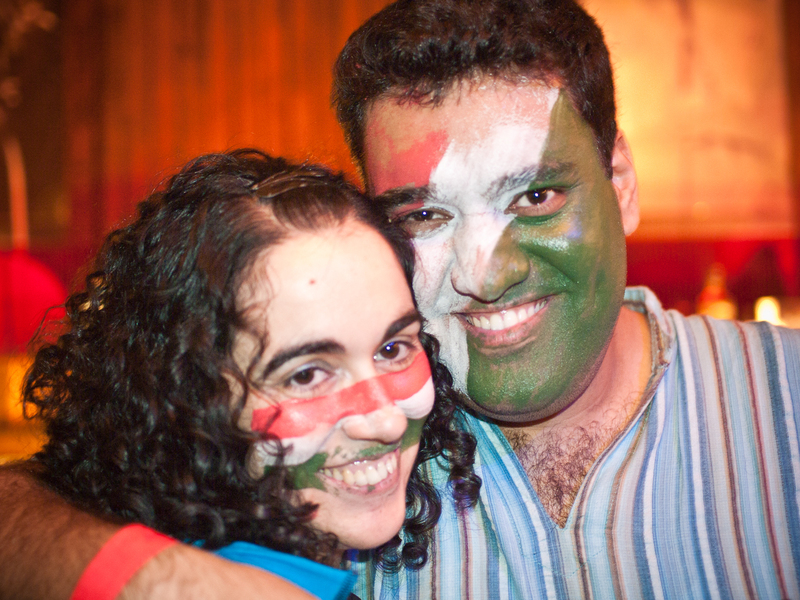 2) Go grab a towel, embrace your inner (or outer) geek and DON'T PANIC! Thank you Mr Douglas Adams for such amazingly hilarious, witty and thoughtful books and thank you for being a giant of a human being, so a sorely missed by those who never met you, I can't imagine the sadness of those who did and have a DNA shaped bit missing in their hearts. I couldn't think of a better homage to pay that listening to Mr Stephen Fry as the Guide and dolphins singing, so... So Long And Thanks For All The Fish!! Here we are again, and since it's Thursday, it's time to be thankful out loud. So today my Thankful Thursday is for all my online friends. It's so incredible that I've met so many amazing people through the internet, first though the Star Wars message boards, where even more than anyone, I met my boyfriend! 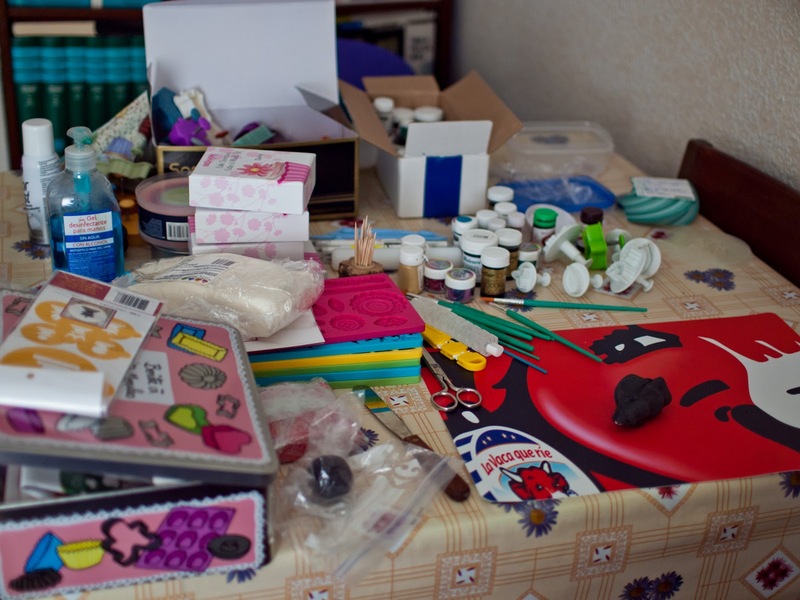 And then, unexpectedly enough, I met handmade crafters and sellers through eBay when I started buying handmade. After joining a pair of handmade & crafting forums some of those sellers have become actual friends I keep in touch with, cause they're not only extremely talented artists but also awesome people! 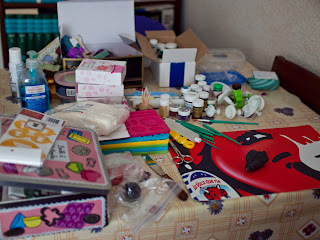 If you want to meet quite a lot of them, do check out the Attack of the Craft boards! Thank you for being there Cindy, Kim, Lex, Ranon, Brooke, Mara, Ky, Maria, Deanna, Jamie, Cheri, Jinx, Andreanna, Nixx, Nicoles, Amber, Marykitten and Marycakes and everyone else, I love you loads! And I want to give a special mention to two friends that I've met through the crafters, Etsy and became friends on Facebook: Marie-Helene, my dear fellow mad bookwork from Canada; and Deb, amazingly talented artist and my beloved taste twin! I love you guys! So, thank you, Universe for putting such great people on my way to meet! Back with a new edition of Mark This Book Monday, and this time it's a book that I was lucky enough to get an ARC through NetGalley! Even more, I finally managed to get my ARCs to finally work properly with my Kindle apps, since my Aldiko app was having hicups and I couldn't read my ARCs using it! I want to thank Sam from Realm of Fiction for giving me the idea of using the Kindle app instead! 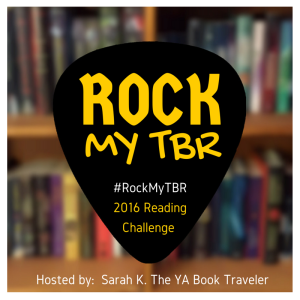 So without further ado, let me introduce you to a very unique and different kind of YA book! Some Quiet Place by Kelsey Sutton. I was very intrigued by this book when I first stumbled upon it and I was extremely lucky to get an ARC from NetGalley. The moment I started this book I was completely hooked. The premise for this book is so very unique and original. I couldn't put it down and it is a 4 stars or a 4 and a half stars! There's more than what we regular humans see in this world. Emotions and Elements are corporeal, like small gods amongst us, they affect us but we don't see them. Except for Elisabeth, not only she can see the Emotions & Elements, but unlike the rest of us, she isn't affected by Emotions, which means she can't feel, but she can see them. All other Emotions and Elements know that Elisabeth can see them and isn't affected by them, all but one. Fear is curious about why Elisabeth doesn't feel anything, and seems hell-bent on being the one to make her feel something. Somehow you might think that it'd be too difficult to relate to a main character that cannot feel, but the pace of the book and the way Kelsey has written Elisabeth you never feel disconnected from her, and you continue to follow her path, grasping at any twinge of feeling, at any hint that will let us know what happened to Elisabeth and what all is really going on. There is a love triangle in this book, but it really is done in quite a different way than usual, and it's hard to explain how can there be a love triangle in a book where the girl involved doesn't feel any emotions, but it is done in a non-irritating way, at least in my opinion, and I really am not a fan of love triangles. The reveal on this book might not be completely unexpected, but since we keep on needing more little pieces to finish the full picture, and all of that really keeps you reading, adding little pieces to complete the puzzle, and find out the who, how and why of Elisabeth. A very unique read, with a very unique premise and with a very distinct voice. 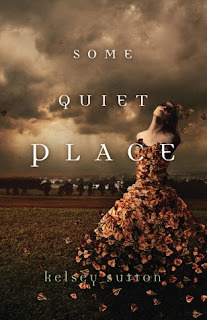 Really loved it and I'm looking forward to read more from Kelsey Sutton and although it doesn't seem a sequel is likely with how the book ended, I wouldn't mind reading more stories placed in this world. For today's Thankful Thursday I wanna say how terribly thankful I have for technology. I'm not gonna go into all the darkness and dangers of being constantly plugged, but I'm gonna highlight some of the great things I find about some of it. First of all, without the internet, I don't think I would have met my boyfriend. Cause what are the odds of meeting a guy from India that loves Star Wars if not through the official Star Wars message boards? Unlikely doesn't even start to describe it. So yeah, I'm thankful to George Lucas for making the movies and everything that came out of it! Twitter is another new thing I like, I know there are loads of bad things about the darker side of twitter or how inane it can be... but it can also be said about so many other things. 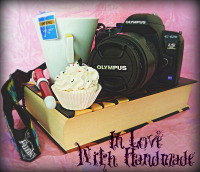 I've discovered I like interacting with people on twitter, sellers, crafters, bloggers and most recently, authors. 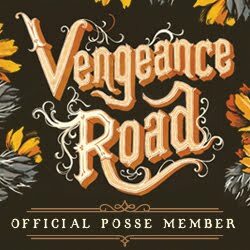 I love the chance to be able to tell an author I've loved their books, and I love getting the updates for sequels and getting a chance to get an ARC or swag from them! So, thank you human brain that can think of all of this and allows us to be able to interact with others in ways we wouldn't have thought possible a few years back! And thank you, Uncle George! Mark This Book Monday: Let The Sky Fall by Shannon Messenger! Finally, I'm back on Monday with a Mark This Book Monday entry! Hopefully, it'll be more than one, if I don't distract myself too much by reading! 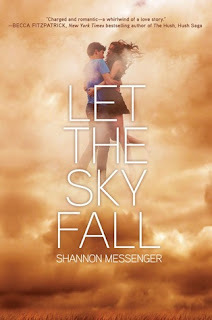 For this first entry, I have to introduce you to Let The Sky Fall by Shannon Messenger! This book was a very pleasant surprise. The 4 stars kind of pleasant surprise! When I first read about it, I was very intrigued, since it was about sylphs that could manipulate wind, but I wasn't so sure about the romance. I decided to give it a go, and it really captured me. The alternate points of view worked perfectly for me, as did all the revelations and world building that came with each one. The progression of the story keeps you hooked, with every bit of information making you want to learn more. And the characters, well, what can I say, I love how both point of views let you see both of them through their own eyes and through the other's eyes. I have to say I loved how very consequent both Audra and Vane are with the way events and consequences of those events have shaped them, and how their choices continue to be in character with who they are, and how they begin to change by interacting with each other. Vane discovers that he is an air elemental, and the last one of his kind, and to add to that, he is in danger and needs to learn to defend himself and use his powers in a matter of days. Audra needs to teach Vane about himself and his powers so he'll be able to help her fight the enemy, and does it out of guilt, out of duty and because it has shaped who she has become. The building up to the climax is quite effective, and the twist at the end, though not completely unexpected in hindsight, it is quite effective. The ending is not exactly a cliffhanger, but it does leave you wanting to read book two for sure! I know that for a lot of you today you celebrate Mother's Day, and I want to say Happy Mother's Day! 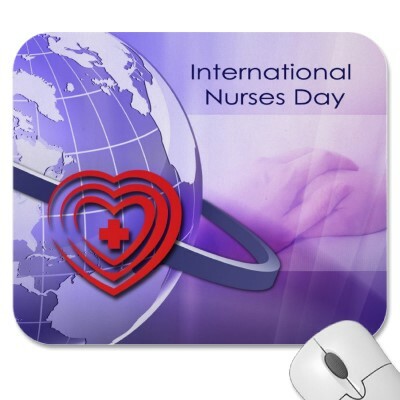 But also, today is International Nurse's Day! Nurse's Day is celebrated on Florence Nightingale's birthday, since she is considered the pioneer and mother of modern nursing! I've had a bit of a busy week, so I still have like 3 or 4 book reviews to write, maybe next Monday I'll have some of them up! Today for Thankful Thursday I just wanna say I'm thankful for those little things, there are so many of them that can make a good day better, a meh day a good one, and a bad day tolerable. So many little things can and will make things better, just make sure to keep your eyes open to see them all! 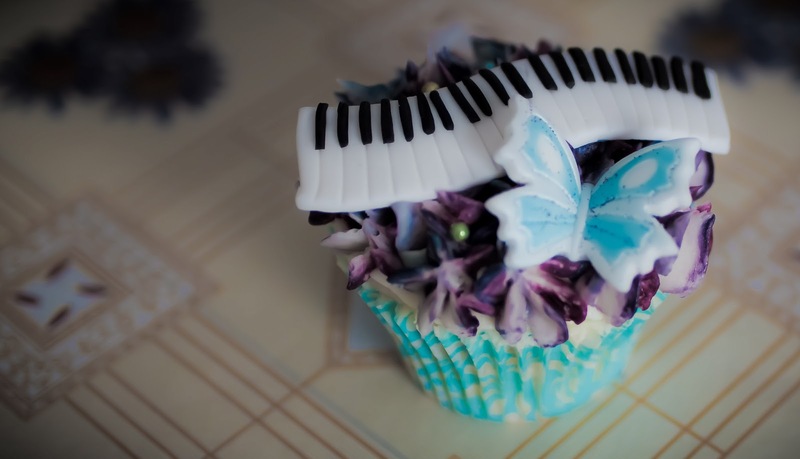 Sunday Shots: Cupcakes inspired by Incarnate and Asunder by Jodi Meadows! Hope you're having a good Sunday! I'm back from work and I'm gonna spend what's left of my afternoon and evening being lazy and reading! Today for Sunday Shots I'm gonna share the other half of the cupcakes I was so inspired to create on Thursday. 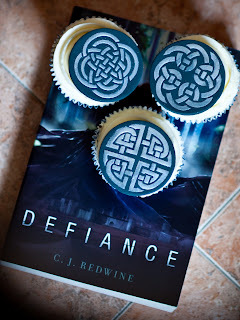 I got the idea of creating some cupcakes inspired by the New Soul series by Jodi Meadows, Incarnate & Asunder, and I was even more inspired and had more ideas right off the start for these than for the Defiance ones. I just had to look at the covers for a bit and check a few things to see if my memory of the scenes was right to start working on what I wanted for each cupcake! Butterflies are an important part of the imaginery of the book, since they represent Anna, the main character, and her possible ephimeral lifetime compared to the others inhabitants of Heart. I chose the cupcake liners cause I thought the fit the mood of the books' covers. I managed to add different colours to the buttercream by using colorants in the piping bag, and the colours are also inspired on both books covers. Cover colours piping, with a piano keyboard, since Dossam is a musician, and it's Anna's first instrument to try and love. I modelled the keyboard from scratch, so it was a bit of job, and it shows that is not as perfect as I would have liked. 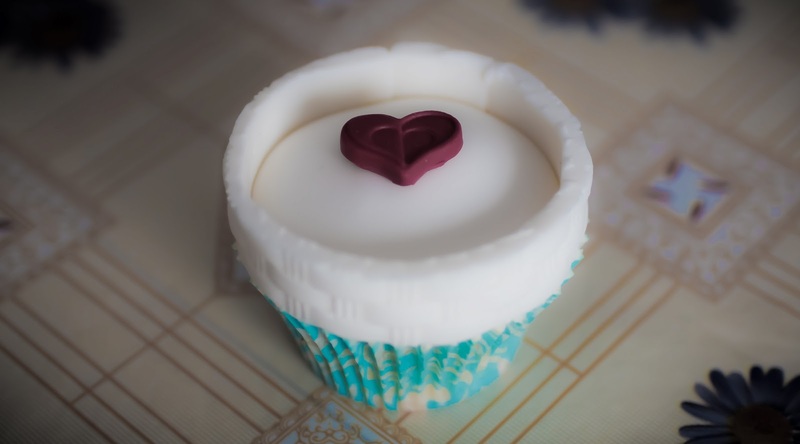 Covered in white fondant, with white walls (I didn't have a brick rolling pin, so I used a basket weave I do have) and the red heart to represent the weird white walls with a heartbeat of Heart. And the two roses, the blue (purple) one to represent the New Souls and the Phoenix (red) ones to represent the Old/Dark Souls. This is from book two. 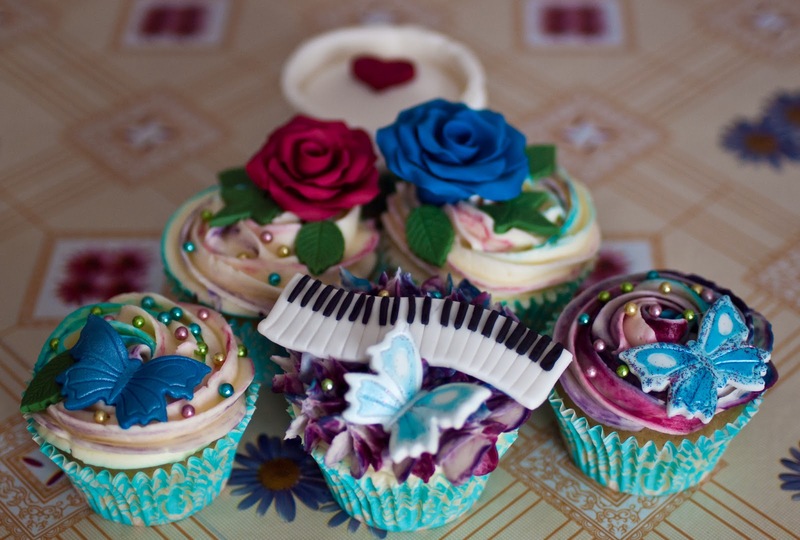 All in all, it was quite a bit of work, but I did enjoy myself immensely making them! 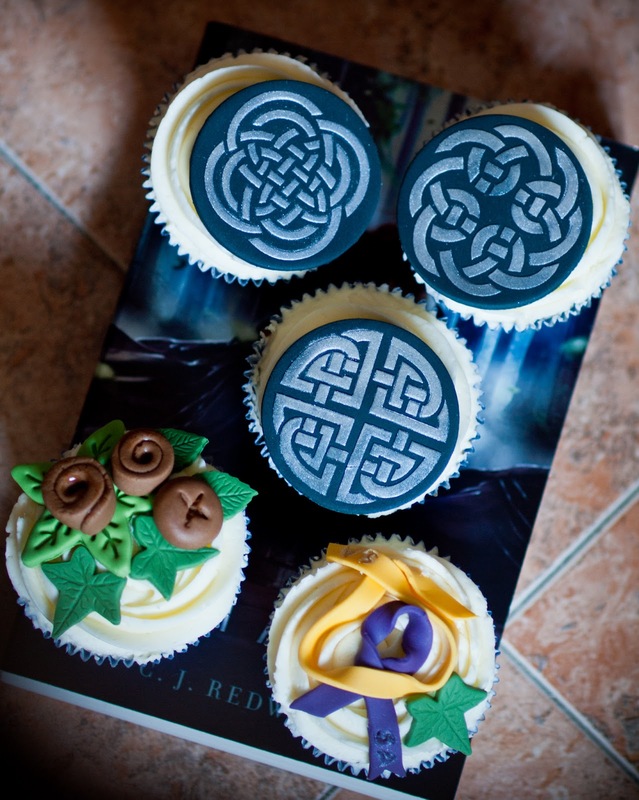 So much, that I'm already planning making more book inspired cupcakes! Saturday Song: May The Fourth Be With You! Today is May 4th, and it's considered officially or unofficially Star Wars Day! 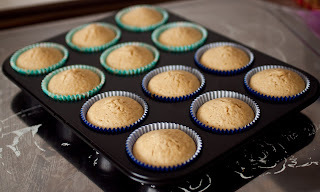 I had considered making some cupcakes to celebrate it, but since I already have a dozen of them that I need to get someone to eat, I didn't want to push it! So, to celebrate I'm sharing some Star Wars music for this Saturday Song! The ever so talented John Williams scored all six movies (so far) and his job was absolutely brilliant in all of them! I'm gonna be sharing one song for each one of the Prequel movies, despite not being as equally loved by the fans and whether you can say they're not as good as the originals, the music is equally superb! Here you go! Hope you enjoy! I'm gonna be wearing my geekiness proudly today and May The Force Be With You, Always! Friday Photos: Defiance by CJ Redwine inspired cupcakes!! This Friday Photos is the result of my brain wave & inspiration yesterday to take part on a contest! What contest you may be wondering? 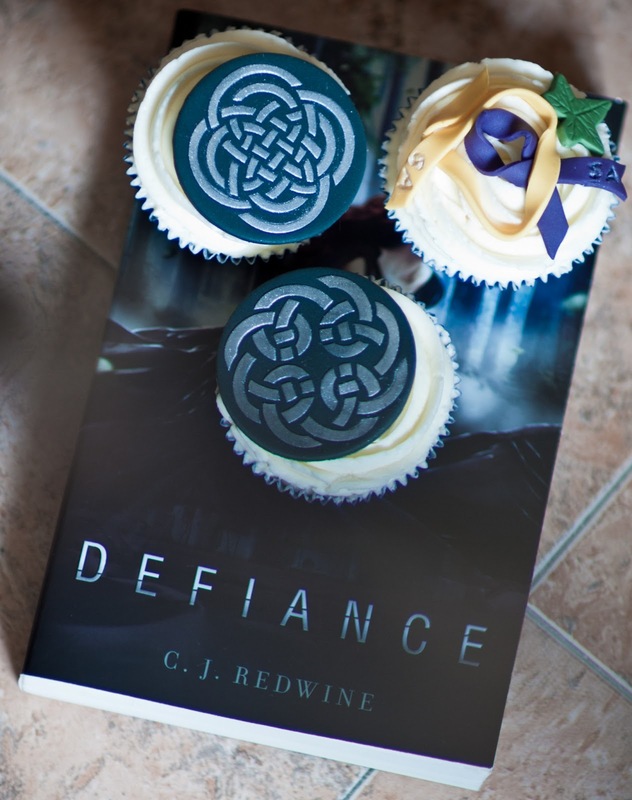 Well, as it happens, CJ Redwine the author of one of my favourite books from last year, Defiance, is hosting a contest on her blog for the chance to win an annotated ARC of the next book in the series, Deception! Getting any ARC is super cool (Advance Reader Copy) since the book doesn't come out till August, but an annotated one? That's like 10 times cooler! The contest called for us the readers to create something inspired by Defiance, be it a poem, photos, a cake... and even though I'm thinking of also trying to get some photography inspired by the book done, I just got the idea of baking some cupcakes! 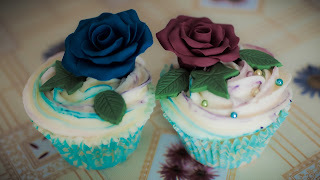 I wasn't too sure of how to decorate them, so I decided to re-read the book last night and instantly started getting ideas! 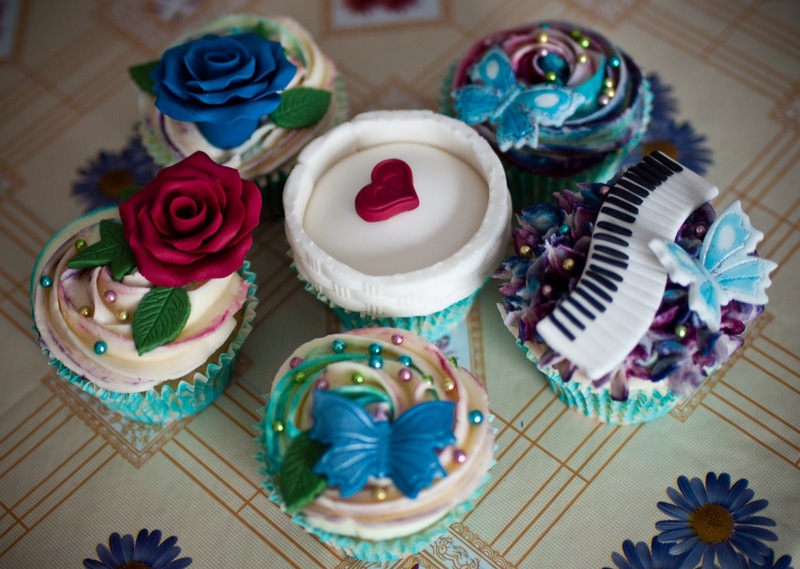 So this morning I was up bright and early with plenty of energy and super excited to start baking and decorating! Yeah, those are all the tools involved... a wee bit of a mess! The cupcakes recipe is for lemon cake cupcakes, since lemon cake is Rachel's (the main character) favourite dessert, with a lemon buttercream, with fondant decorations. And then it was time to start piping the frosting to then decide how to distribute all the fondant decorations I had made. Celtic knots, ribbons with initials, sticky buns, a wrapped parcel and leaves from the forest, it all has a significance in the book. I wanted to include one of the "Cursed Ones" but my modelling abilities are not up to par for a wingless dragon creature yet! 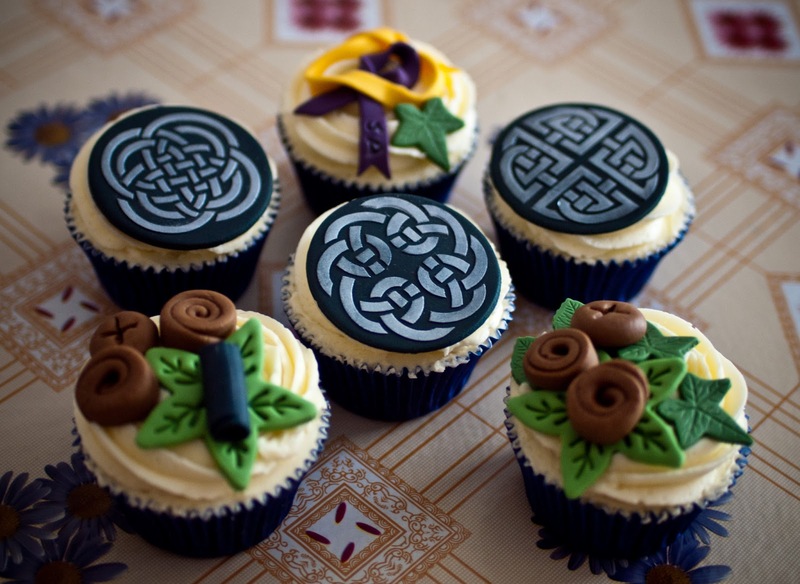 The Celtic knots might be my favourite part, I love how they look and I love using the stencils with fondant! So there you go! 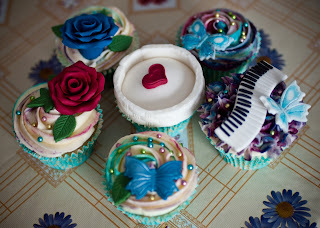 Those are half the cupcakes that kept me busy and happy yesterday. Whatcha think? They're not poetry, but I think they look quite awesome, even if I say so myself! Wish me luck on the contest! Thankful Thursday: Days off and inspiration. I'm a bit behind on some of my book entries, cause I have a few reviews pending, but I've been down with a cold, and my brain wasn't at full capacity! 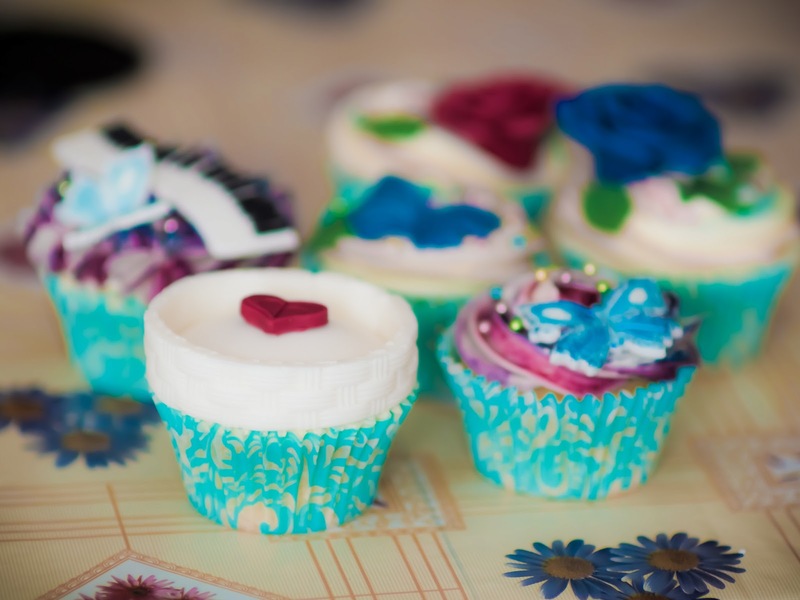 Today for Thankful Thursday I'm just happy for having days off to recover from being sick, to rest, to switch off my brain from work, and specially this week, for having the energy and inspiration to bake, decorate and photograph a special dozen of cupcakes! I've had such a blast and I'm feeling pretty proud of myself, so I'm feeling quite grateful!